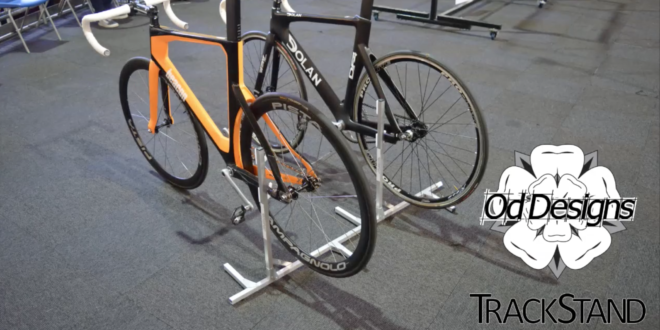 Two years ago, OD Designs launched a Kickstarter campaign to fund and produce its Trackstand product. The campaign failed to raise sufficient funds and was ultimately cancelled. 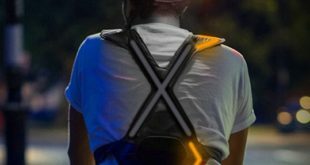 Now, due to renewed interest in the product, OD Designs has re-launched the Kickstarter campaign with an aim of raising £25,000. With 29 days to go, the project has currently raised nearly £4,000 from a total of 93 backers. 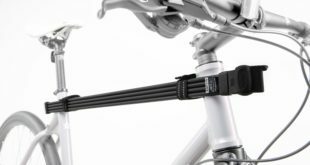 The TrackStand bicycle stand was designed to present a lightweight and staurdy alternative to a traditional stand unit. It can be folded up and stored away in three motions, and can be used as a single stand or connected to other TrackStands in order to present bikes before a race or on the shop floor. The TrackStand supports the bike by the chain and seat stays on either side of the bike. It’s fully adjustable in order to accommodate a larger range of frame types and sizes. “I came to Steve because there was nothing on the market that suited our needs, the TrackStand solves all the original problems. It’s lightweight, compact and holds the bikes sturdily and we can put a few together to present the bikes. What Steve has made does an excellent job and for our purposes is ideal,” commented Ireland Track Team coach and Specialized Cycle Team mechanic Sandy Gilchrist.